The city of Philadelphia is located in the North eastern state of Pennsylvania in the United States of America. It is home to a great many universities and colleges, having one of the richest histories of any city in the US. It is a hub for arts, culture and history and is visited annually by over 39 million tourists from the US alone. It is the only city in the US which is designated as a World Heritage City. Philadelphia’s offerings for art lovers include the Pennsylvania Academy of the Fine Arts, the Philadelphia Museum of Art and the Rodin Museum. The Avenue of the Arts features the Kimmel Centre for the Performing Arts which is the home of the Philadelphia Orchestra. This road is also the place to go for the city’s top restaurants and theatres. If art is not your thing, then the Philadelphia Museum of Art may still be worth a visit. The steps in front of it were immortalised in the film Rocky, the title character would run up them as part of his training whilst being followed by hordes of people. Philadelphia’s nightlife is situated around Old City and South Street, the former being the location where the Quakers first settled. Now it’s home to clubs, bars and restaurants. Philadelphia is a city of firsts in the US. It had the first zoo in the country, the first library, the first stock exchange and the first hospital. 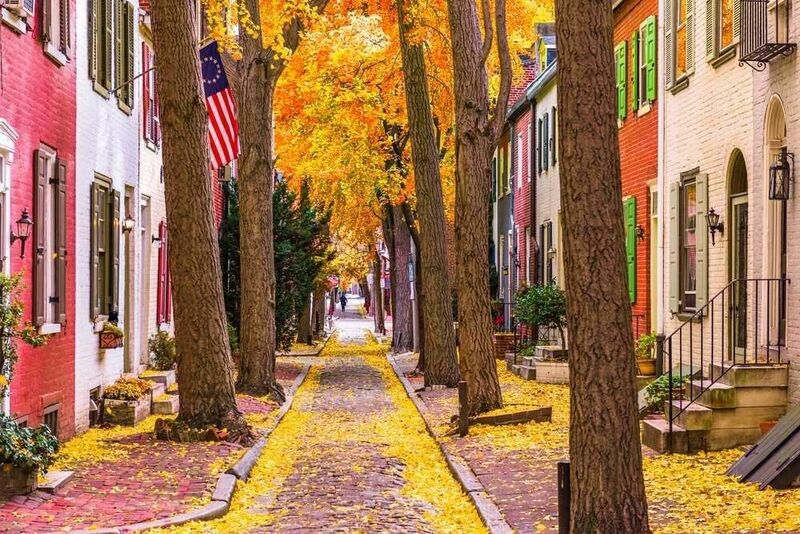 When considering walking tours, it might also be worth considering that Philadelphia was recently rated as the fourth most walkable city in the US. These tours take you through some of the city’s most interesting neighbourhoods. The Independence Mall Tour concentrates on how Philadelphia shaped the course of American politics, in a fun and light hearted way that everyone can understand. This tour lasts 2.5 hours and walks a distance of approximately 2KM. Reservations are essential and the tours run on specific days dictated by the calendar on the website. This tour operates a ‘Pay as you Wish’ scheme. 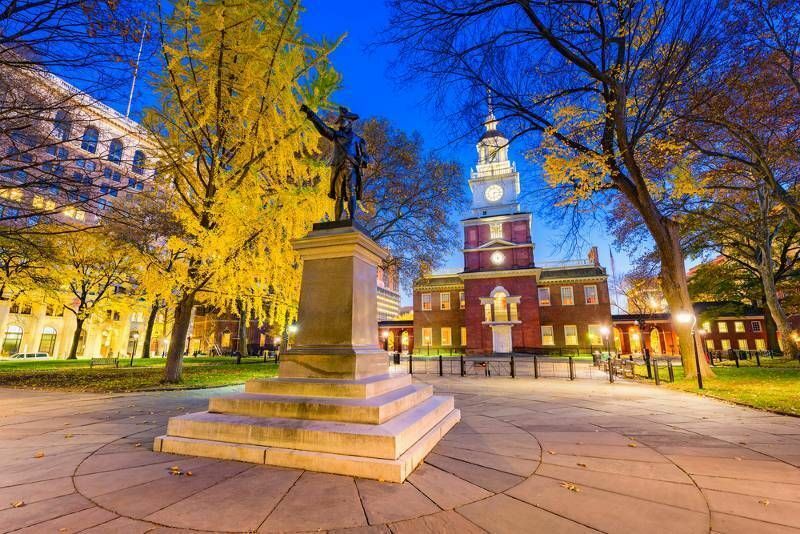 This tour takes you on a whistle stop tour through the streets that shaped Philadelphia’s history. Hear about men such as George Washington, Thomas Jefferson and Ben Franklin and find out their links to the city. This tour concentrates on the two historical neighbourhoods of Old City and South Street. Taking in Centre City, Ben Franklin Parkway and Ritterhouse Square, learn about William Penn and how his city grew from small beginnings into the major sprawl it is today. Learn about his statue on top of Philadelphia City Hall and how it led to a curse that supposedly affected all of the city’s sports teams. This tour lasts an hour and a half. Below you can find more popular (but not free) activities and tours in Philadelphia. Are you from Philadelphia and want to be a tour guide? Please get in touch by submitting your details on this page!